The 6A49 12:10 Didcot to Bicester MoD stores is getting well used to having inappropriate Class 67 haulage. 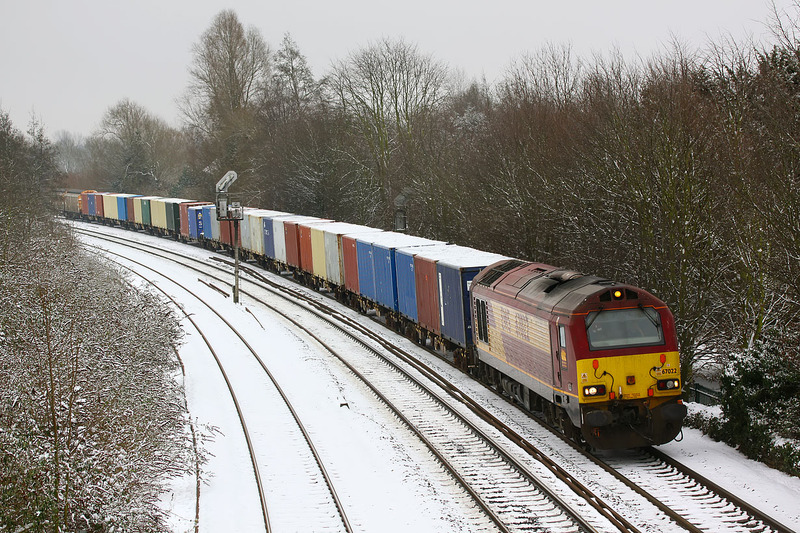 On 21 January 2013 it was the turn of 67022, seen here approaching Oxford with a lengthy snow covered train. Ten days before it was hauled by an even more inappropriate royal liveried 67006.